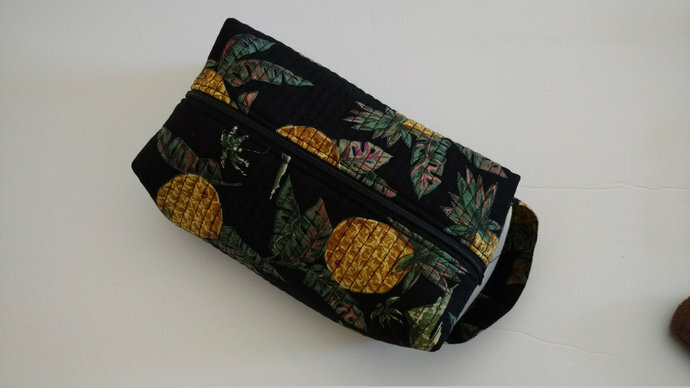 Do you love pineapples, then is zipper pineapple bag is for you. 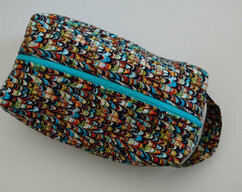 Pineapple make up bag is made of 100% cotton fabric, fusible batting, zipper and cotton thread. Fabric has been pre shrunk to rinse out dyes and perfumes, and to avoid shrinkage in the future. 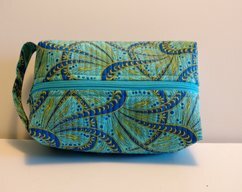 Bag is lined with the same fabric as the outside. It measures approx. 8 1/4 inches long, 4 inches wide and 4 inches deep. It can be washed and and dried in the washer on delicate cycle and a lower temperature dryer. I would recommend to lay to dry. 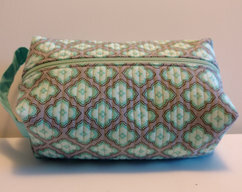 Fabric pineapple toiletry bag will hold things that often get lost at the beach or while traveling. The 5th picture shows what I got in the bag, and I still had room to spare. I could still zip it with the items in the picture. 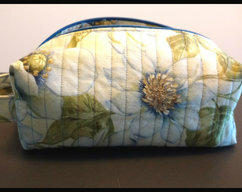 Would be a nice college student gift, gift for mom, gift for bride, gift for her or birthday gift.